Neal has been in real estate sales and investing for over 25 years. 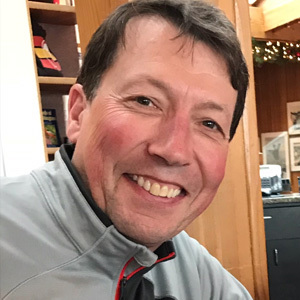 Starting his career in Bend, Oregon - selling properties in the resort community of Sunriver, OR Neal gained a solid foundation for his move to North Idaho in 2005 to act as the managing broker at Silver Mountain Resort in Kellogg. As the resort was being developed with lodging, resort real estate, a golf course and waterpark under the care of his wife and co-owner of Local Real Estate, Neal gained his expertise in selling resort condominiums, and developed home sites in the golf course community. After 15 years of hard work, project oversight and brokerage management for Silver Mountain, the couple formed Local Real Estate. Within the first year, Neal brought a buyer to the owners of Silver Mountain Resort, which had been for sale for over 7 years. Since that time, Neal has served many clients in large commercial transactions, primary residences, second homes, lake property, condominiums and investment properties. Neal finds success in real estate with a laid back, no pressure approach and is always available to his clients, whether it’s persevering through tough negotiations on his client’s behalf or delivering dinner to them at their new home after a long drive in a U-haul. Neal is the kind of guy that you not only want on your side of a real estate transaction but also the kind of guy anyone would love to ski with, bike with or take in a Seahawks game with.